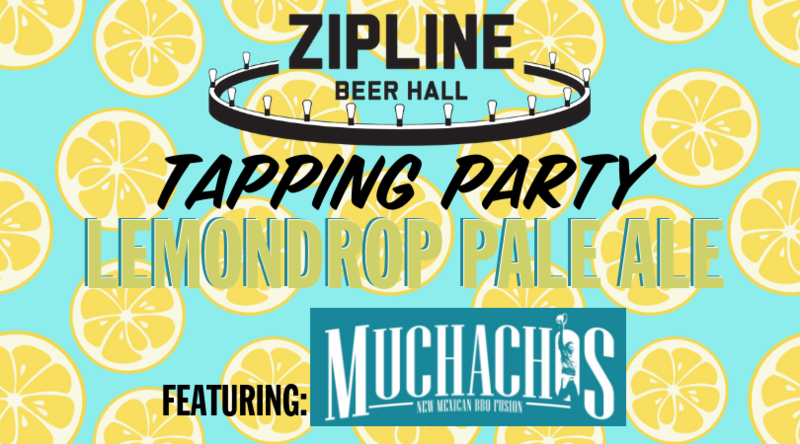 Lemondrop Pale Ale Release Party - Beer Hall - Zipline Brewing Co. Lemon candy aromas spring from this golden pale ale while copious addition of Lemondrop and Citra hops provide a burst of crisp citrus zest. Our spring seasonal is sure to pair well with Muchachos New Mexican BBQ fusion. They will be in the house from 5-8pm offering a variety of smoked delights to pair with your favorite Zipline brew.